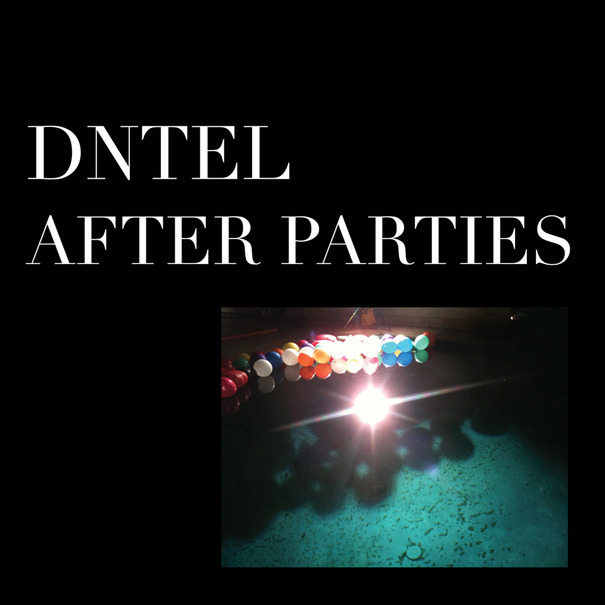 DNTEL (aka Jimmy Tamborello/James Figurine/1/2 of Postal Service) will be releasing two new EP's entitled 'After Parties 1 and 2' which you can purchase seperately or as a combo on December the 7th via his label SubPop as vinyls or digital copies. I managed to snag a copy of the 8 track EP's and as everything he does it's great stuff! This one unlike other albums of his do not feature any vocal contributers, but rather just feature him doing instrumental electronic tracks. Very cool/mellow electronic music you guys should look into. I for one am always hoping to hear news about that elusive second Postal Service record of which a collaboration with Ben Gibbard (Death Cab for Cutie) gave birth to the whole thing, but at this point maybe it's too late. Too much time has passed and that amazing debut might be better left un-touched as the sole representation of that amazing time. If you submit your email on the widget I'm posting below you can get your hands on two of the new tracks "Flares" and "After Parties" absolutely free in full 320 bit rate quality. I'd do that asap then snag this baby up as soon as you can. As a bonus here's a great Superpitcher remix I found on Hype Machine for that first Jimmy/Ben DNTEL collab that sparked the whole Postal Service project "(This Is) The Dream of Evan and Chan". Amazingness!